The award-winning Prime Response® Reputation and Social Management platform lets you monitor your online reputation and interact with customers using a proven approach. Track, influence, and engage with your customers via review and automotive social media sites. Our experts do the heavy lifting so you can focus on selling! Prime Response employs a mixture of features ensuring your dealership’s reputation shines brightly. We understand how detrimental a negative online reputation can be to one’s overall success. Let’s take a look at how Prime works. We compare your external reputation data with automated internal surveys to show you where your dealership stands in the marketplace. Our proprietary process gauges a customer’s experience by sending an email or SMS to request a review after their dealership visit. 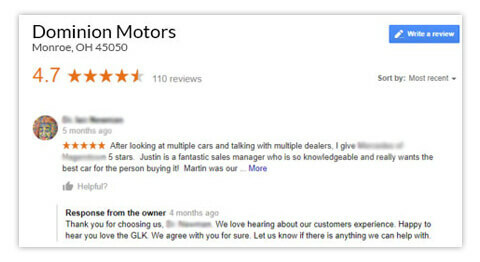 The right person in your dealership will get an immediate alert when a negative review or rating is received. Digests provide a report for all reviews in a given time. When positive reviews are received, Prime Response makes it simple to immediately share them on Facebook, Twitter, and your website. Prime SMS Influence allows you to text customers immediately after their dealership visit to request a review. Happy customers will be able to go directly from the text to a review site. If a customer is unhappy, you will get an instant alert allowing you to rectify the situation. 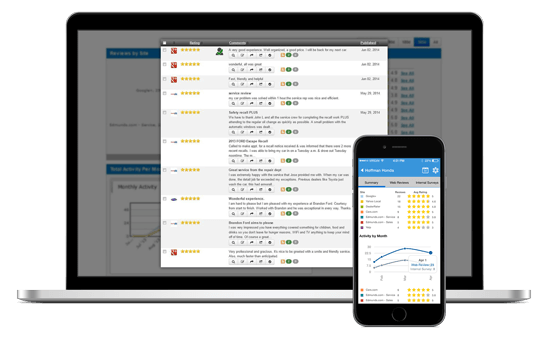 Prime Review Response provides your dealership with personalized responses to every review. Our Specialists work with you to determine the best response strategy, ensuring that every review, on every site, receives the most appropriate response reflective of your dealership. Ensure that your brand is attracting local car buyers across the major social media channels. Your automotive Social Media Specialist will consult with you and determine the right strategy and voice representing your dealership. We will create and monitor custom content that builds brand loyalty and delivers campaigns to a massive audience instantly. Looking for paid social advertising campaigns? Learn more here! Capture page information, including both copy and images, for curation purposes with our browser extension PRIMElet. Or use our app, Prime Capture to capture an image for curation purposes. Check out this blog and download the infographic to learn how you can build trust with your dealership customers. See how Chevrolet of Naperville was able to double their reviews and increase star rating to over 4.5 stars thanks to Prime Response.